High stress levels. Long and irregular work hours. Lack of sleep. All these may signal a toxic work environment that can take a toll on a person’s wellbeing. And while IT companies are known to promote work-life balance through an array of employee benefits, “tech workers are still susceptible to the disorder,” according to a recent survey by anonymous workplace chat app Blind. Nearly 40% of IT workers who took part in the survey believed they were depressed. The findings were broken down further into results by company for those with at least 100 employee responses. From the sample, Apple had the lowest percentage of respondents reporting they were depressed (30.61%). This was followed by Google (33.11%) and Cisco (34.69%). “Users on Blind talk anonymously about burnout, high-stress levels, insomnia, overworking, and irregular work hours. These are all characteristics that have shown to increase a person’s chance of developing depression,” Blind said. The workplace communication app hosts anonymous conversations on its platform, with a number of discussion threads initiated by members specifically on the topic of depression. Apart from community support, employees battling depression have been found to benefit primarily from management support. Employees who are able to communicate with their managers openly about their condition are also less likely to miss work because of depression, according to Sara Evans-Lacko, research fellow at the London School of Economics. Developing mental health workplace policies is necessary “for managers to be able to actively support an employee with depression,” her team found. 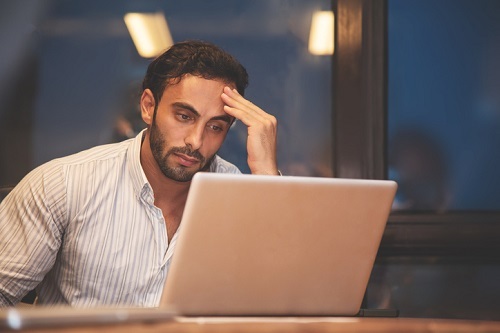 “Our research shows that where employers create a culture of avoidance around talking about depression, employees themselves end up avoiding work and even when they return to work they are not as productive as they could be,” Evans-Lacko said.